Don Baker joined the Wembley Amateur Football Club in 1961 playing 50 A Grade games as well as being a team manager for the B Grade side. 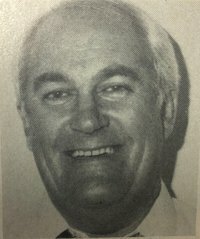 From 1970-1974 he was the Club secretary before taking on the role of President from 1978-1979. 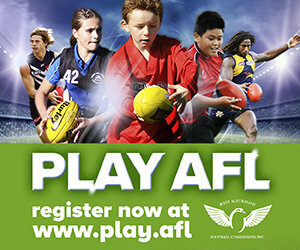 Don has also been involved with the WA Amateur Football League board and committees. He held the role of WAAFL Junior Vice President for five years, Vice President for one year and was the President from 1992-1995. Don was also part of the WAAFL reinstatement sub committee from 1987-1999 and the WAAFL Hall of Champions selection sub-committee from 2010-2014. Don was also heavily involved with the WAAFL State Programs from 1974 to 1988 as a WA State Team selector, State Assistant Team Manager, State Team Manager as well as Chairman of the WAAFL State team Sub-committee. Don was Carnival Coordinator for the AAFC Perth Carnival in 1982 and 1991 as well as the WAAFL delegate to the Australian Amateur Football Council from 1986 to 1995. In 1988 Don was the Australian Amateur Football Council team official for the carnival in Adelaide and Hobart. Don was made a Life Member of the WA Amateur Football League in 1983 and was made a Life Member of the Australian Amateur Football Council in 2015. The B Grade Grand Final premiers are awarded the D.R Baker Cup named in honour of Don’s contribution to the WAAFL.